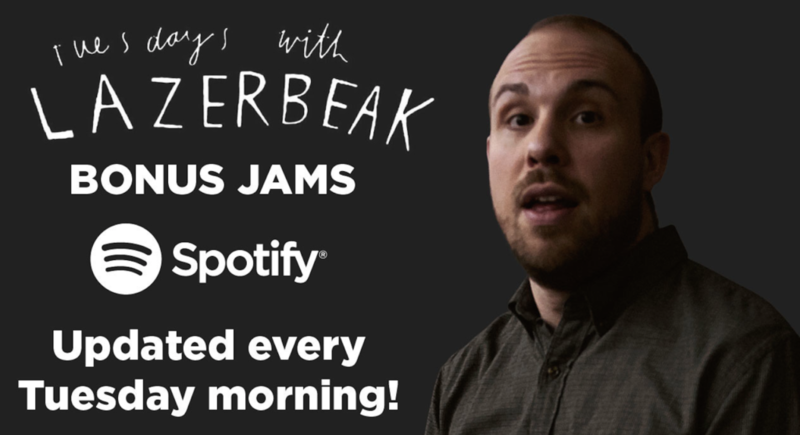 Welcome back to an absolutely mammoth edition of Tuesdays With Lazerbeak. We’re firing on all cylinders right now and there is an outrageous amount cool stuff to talk about. Let’s kick things off with some new music though! I recently had the pleasure of remixing a track from Minneapolis singer/songwriter JØUR’s excellent debut album Chiaroscuro. Big time shouts to The Current for premiering it on air this past weekend. You can now listen to the full track on all streaming services. Check out the “American Nightmare” Lazerbeak Remix below and help us spread the word! I’d highly recommend checking out the original song and album from JØUR right HERE as well. She’s the best. Last weekend our local PBS-affiliate station TPT aired a short 10-minute mini-documentary on me as part of their Minnesota Original series. I really can’t thank the staff and crew at TPT enough for following me around for a few days and putting this whole thing together. If you’ve ever wondered what a day in my shoes looks like, this is your chance. 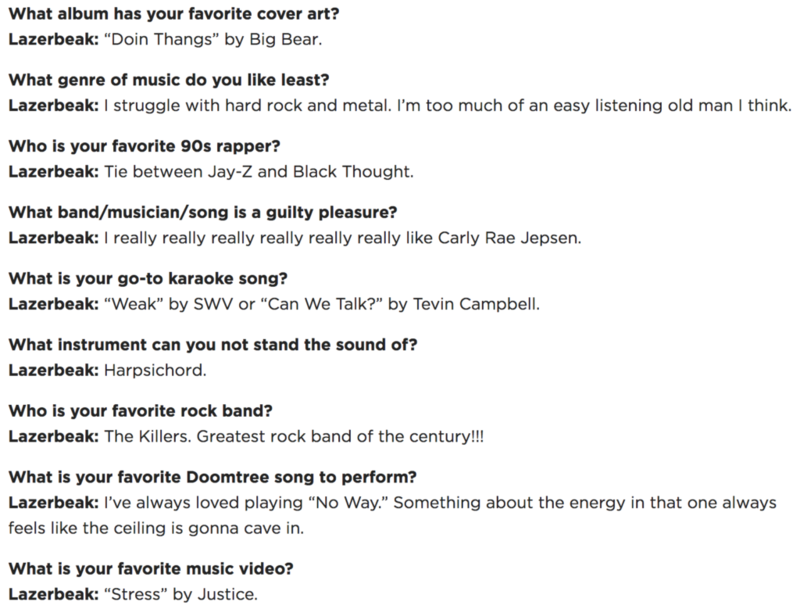 Check out The Life of Lazerbeak below. 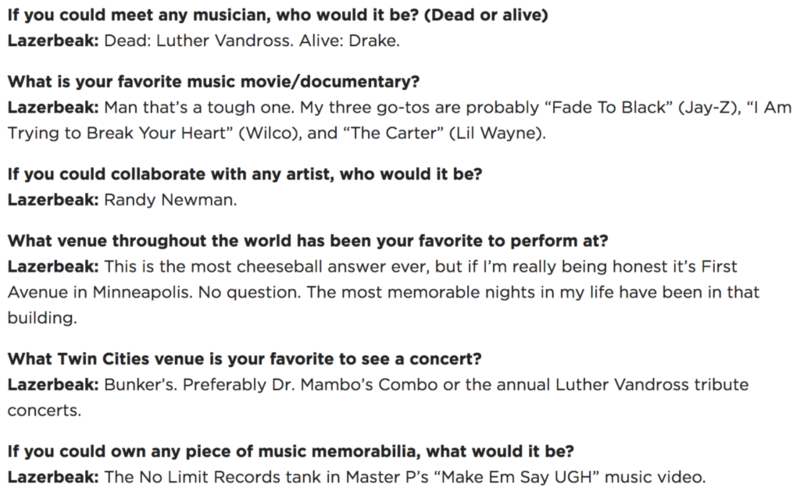 And here are a few questions I answered for TPT in conjunction with the documentary premiere. Lots of R&B gems in this one. Enjoy. Last week Dessa announced her very own Dessa Shrimp Contest, inviting contestants to try their hand at creating a short visual accompaniment to the little rap interlude track “Shrimp” from her Chime album. Here she is explaining the rules…. Doomtree hereby announces THE SHRIMP MUSIC VIDEO CONTEST (aka Dessa’s 46-Second Film Festival). And this thing’s got a legit cash prize, people. Here’s how to enter: 1. Shoot a music video/short art piece/iPhone clip scored by Dessa’s song “Shrimp.” 2. Post your submission to Instagram, Twitter, YouTube, Facebook using the #DessaShrimp hashtag. 3. Submit a link to your post to [email protected] by THIS SUNDAY (Oct 28th), MIDNIGHT local time. 4. Check the Tuesdays with Lazerbeak blog at Doomtree.net on October 30th to watch the winning submission. The winner will receive $599 American Dollars(!). * That’ll cover roughly 40 orders of Red Lobster’s Endless Shrimp® Monday plate—truly a night to remember for you and 39 friends. (*Why $599? Because we’d have to send you a 1099 tax form at $600 and no one wants that.) LIGHTS- ACTION- SHRIMP. And now here is Dessa herself to announce the winner of the Shrimp Contest. Take it away, Dess! The Shrimp Music Video Contest (aka Dessa’s 46-second Film Festival [aka D46FF]) attracted submissions from dancers, animators, clever preteens armed with cell phones, and a surprising number of people who filmed actual shellfish. (A special shout out here to the entry from Melancholy B: “Shrimp on the Barbie,” which featured actual chilled shrimp on the feet of an actual Mattel Barbie doll). Alison, you’ll be winning $599 American dollars. Because that’s how much we can give you without having to mess with a 1099. I hope that at least one shrimp meal is in your future. Thanks again to everyone who participated—we received so many notes from friends and siblings who’d had a good time making something together this weekend. Warmed hearts over here, guys, warmed hearts. BOOOOM! Congrats to Alison Cherry on taking the grand prize and thanks to everyone who participated. 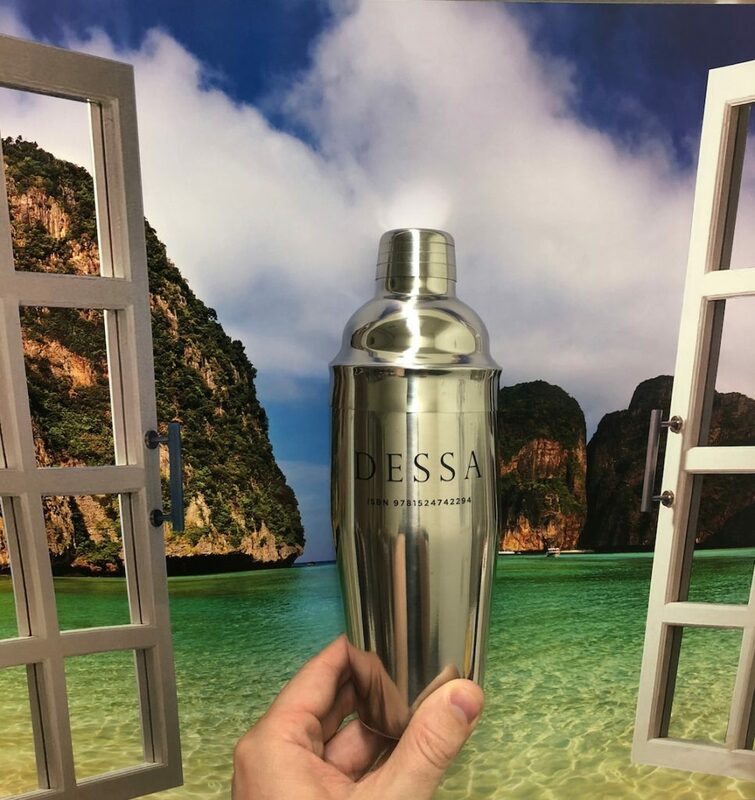 In other Dessa news, we recently liberated a couple of special merch items from the Orchestra Hall shows. 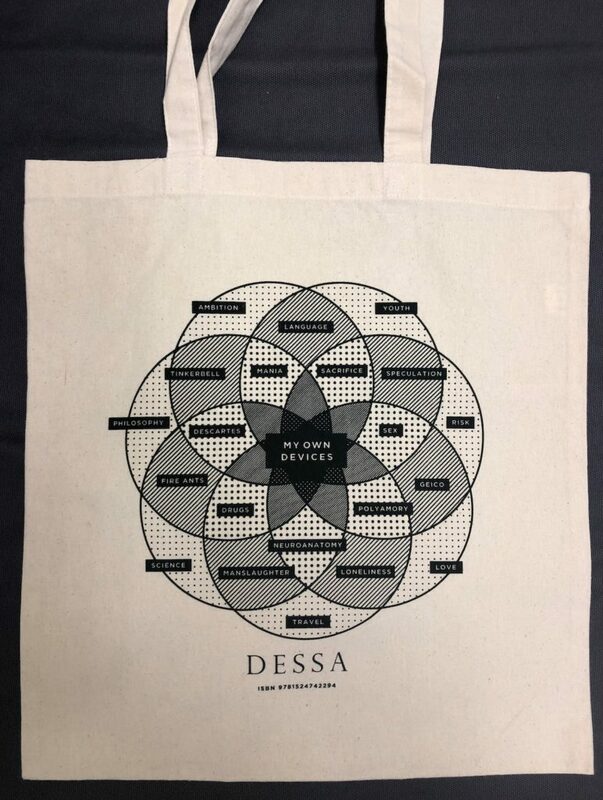 Check out the Dessa cocktail shaker and My Own Devices tote bag below. Quantities are limited. 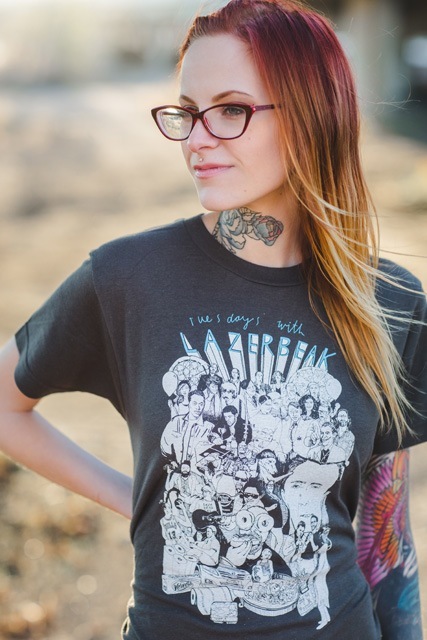 Grab yours right HERE. The My Own Devices Book Tour continues to roll on. 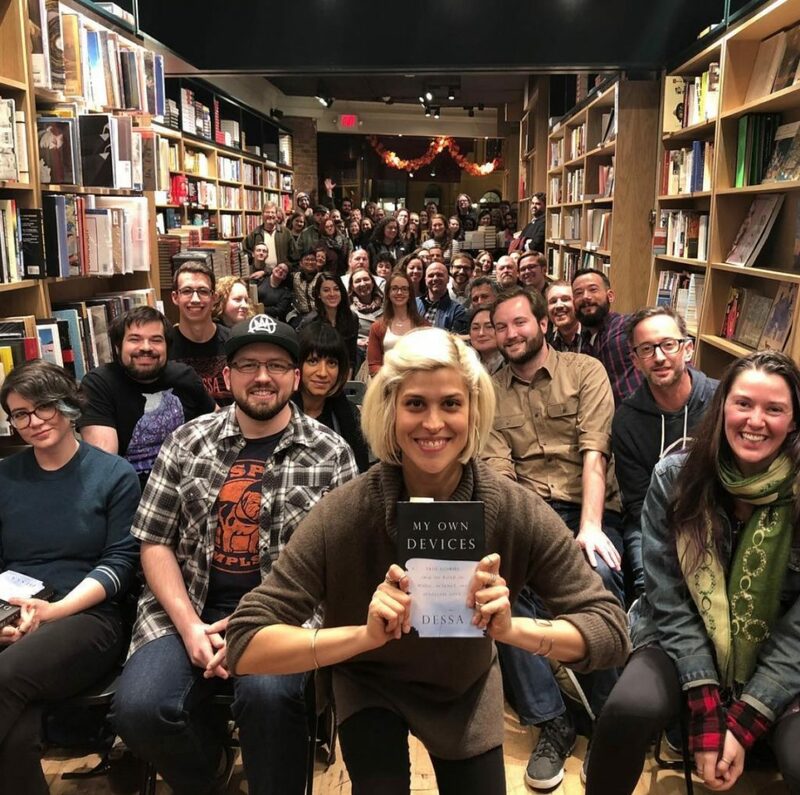 Here’s Dessa last week in DC at Kramer’s Books doing a Q&A and reading. 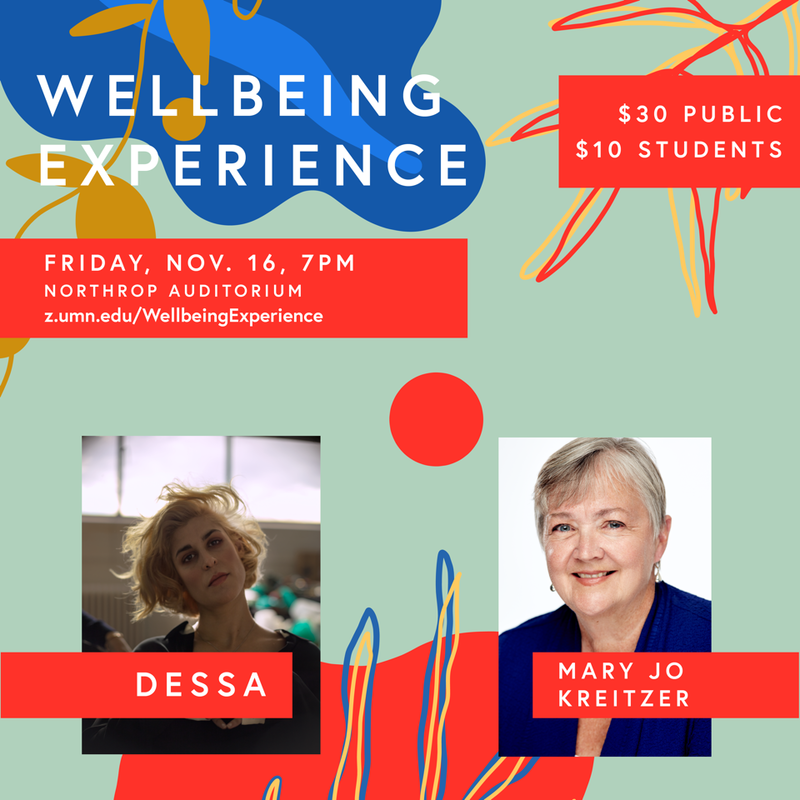 She’ll be back in Minnesota on Friday, November 16th for a very special Wellbeing Experience at Northrop Auditorium in conjunction with the University of Minnesota. Check out the details below and grab your tickets HERE. First thing first though, it’s time for some rap shows. 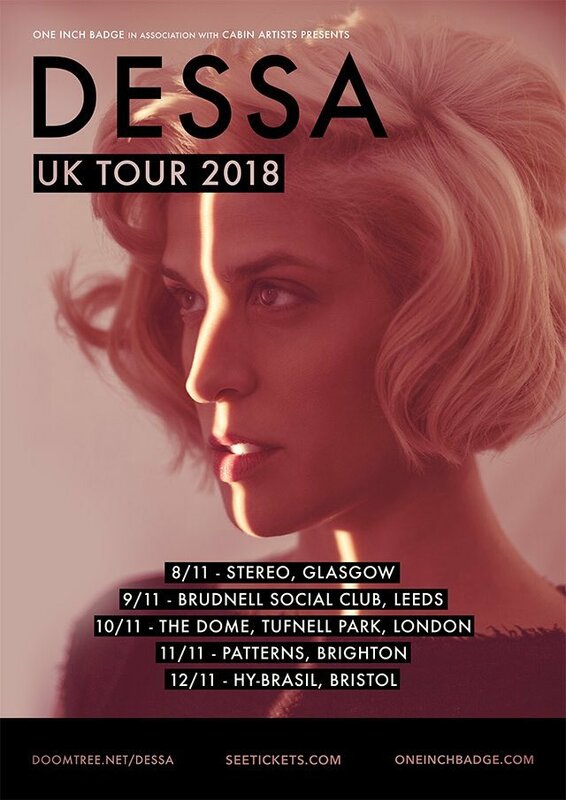 Dessa will be heading across the pond next week for five shows throughout the lovely UK. Check out the dates below and grab your tickets HERE. 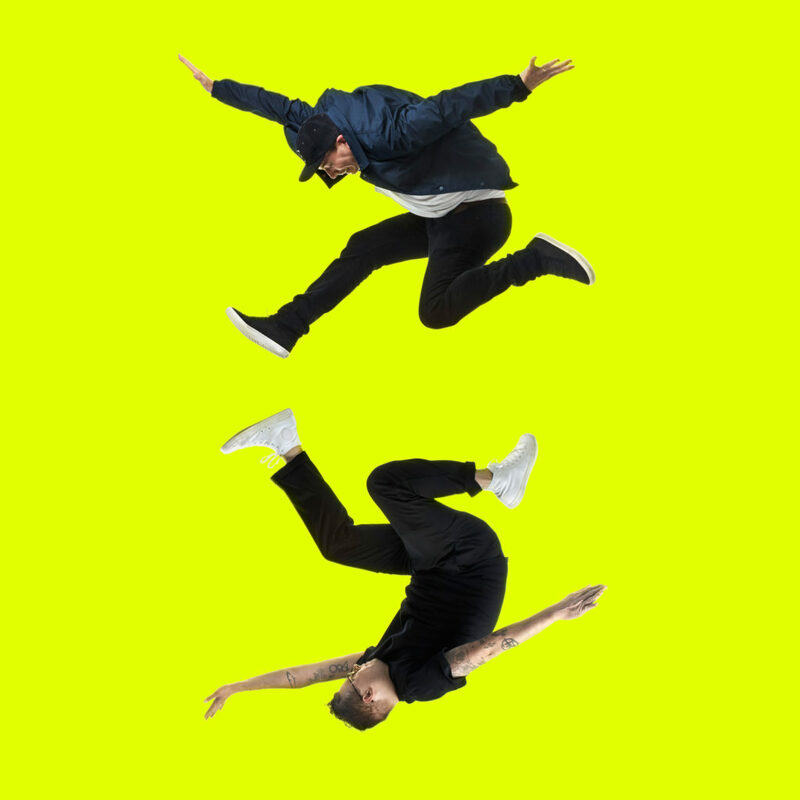 Last Friday, Doomtree Records had the insane honor of releasing CLOQUET, the incredible debut collaborative album from Doomtree’s Paper Tiger and his NYC vocalist buddy J. Gundersen. Here they are doing crazy jump poses. Massive shouts to everyone that pre-ordered a physical copy of the album. For those of you living in the digital world, you can now hear the entire record in all of its sonic glory on any and every streaming site imaginable. Here’s a few players below to check it out on, and you can always grab a copy for yourself right HERE. 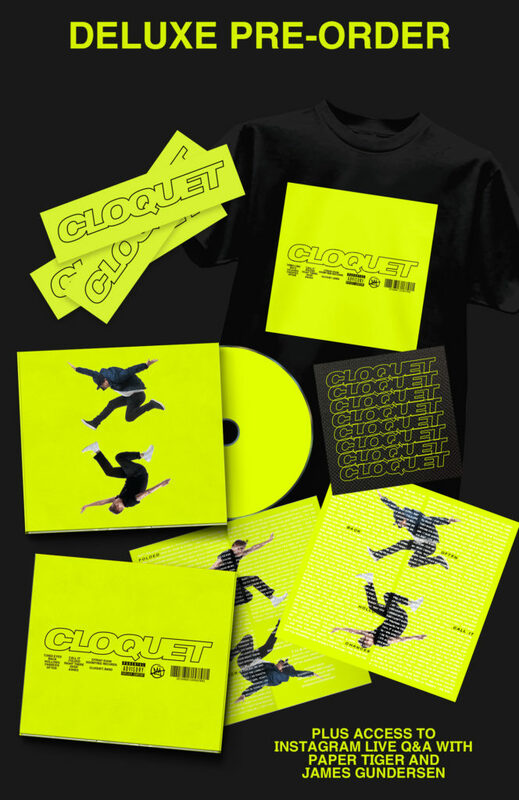 We still have a couple Deluxe Edition Cloquet CDs left at the Webstore as well if you’re interested in the limited-edition t-shirt, patch, and signed goods. Grab yours HERE. Now for a quick Four Fists update from the road. Andy and Stef have been traversing the western half of the USA for the past few weeks now. They just knocked out some crazy shows down the West Coast and throughout the Southwest and are now venturing into the beautiful South. 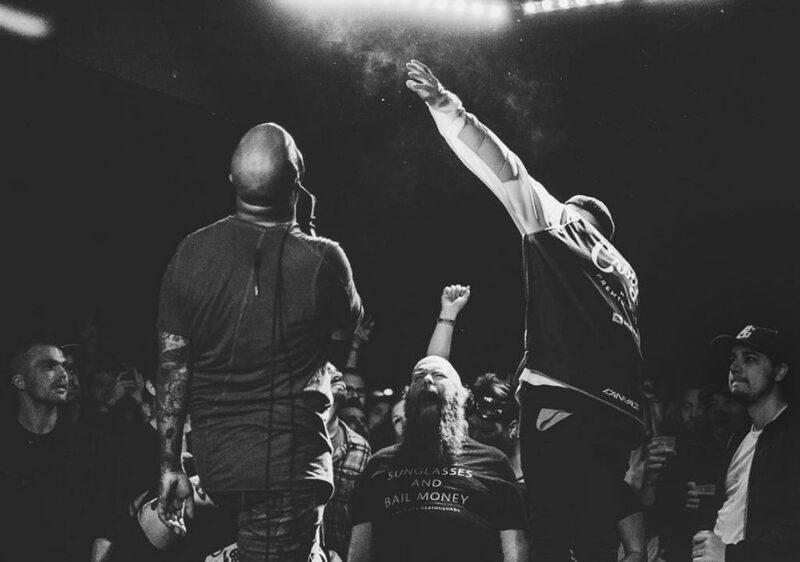 Here’s a couple awesome pictures from the recent show in Denver courtesy of the homie Enrique Parilla (@eparillaphotos on IG). And here’s Angel Davanport crushing her main support slot on this tour. Her new EP is sooooooo gooooooood. 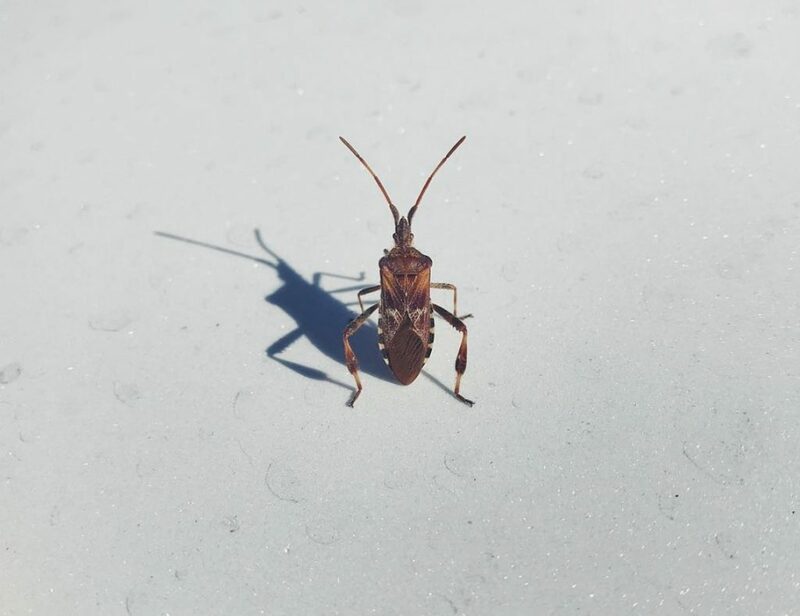 And this is a cool picture of a bug standing up that Andy took somewhere along the way. 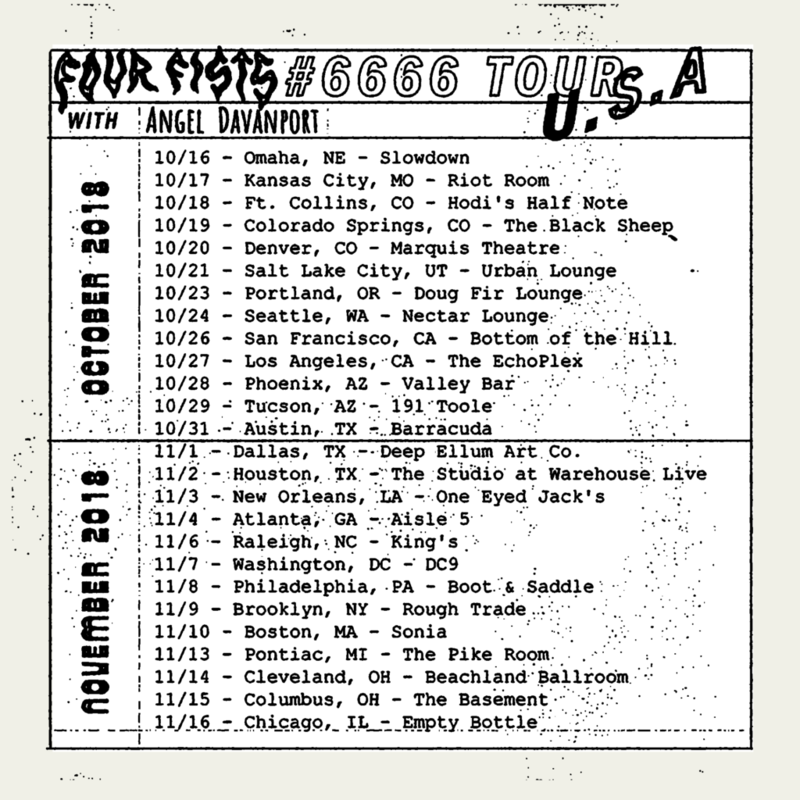 Stef, Andy, Oscar, and Angel continue the #6666 US Tour throughout November. 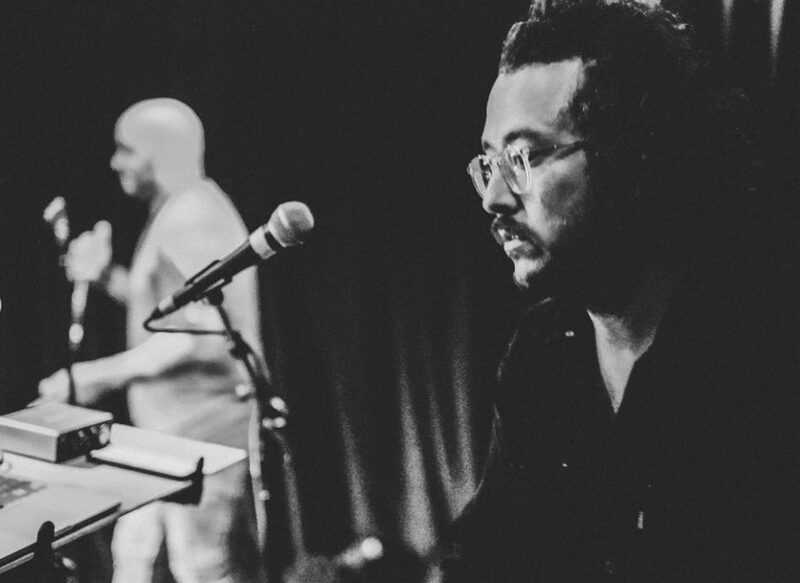 Check them out this week in Austin (10/31), Dallas (11/1), Houston (11/2), New Orleans (11/3), and Atlanta (11/4) before they make their way up the East Coast. Grab your tickets HERE and tell a friend. 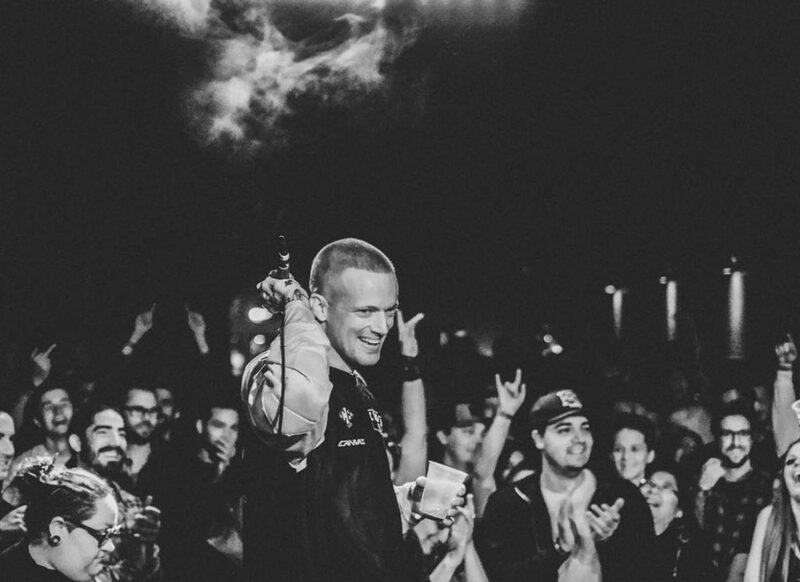 Sims is gearing up for his big hometown headlining show at Fine Line on December 1st alongside Air Credits, Chance York & Big Cats, and HOOPS. This show will double as a fundraiser for Hopewell Music, which is an excellent organization in North Minneapolis committed to offering music lessons to all ages and budget ranges. Sims recently popped into Hopewell to learn more about all the great services they provide. Check it out below. This should be an absolutely incredible show. Check out the sweet deetz below and grab your tickets HERE to support a wonderful cause. Speaking of great causes (SEGUE!!! ), let’s talk about voting. I know it’s easy to get completely bogged down and crushed by the everyday news cycle these days, and I also know too well how hopeless it can feel sometimes asking yourself what your one vote is actually worth. All I can say is that it must be worth a whole hell of a lot based on how hard people are going out of their way to try and take it from you. To help raise voter awareness and get the word out throughout our beautiful state of Minnesota, Dessa, Sims, and myself contributed features to this awesome Jeremy Messersmith song with cameos from an all-star cast of Minnesota musicians. Check out the full video below and please, please, please VOTE on November 6th. See you at the polls! BAM! 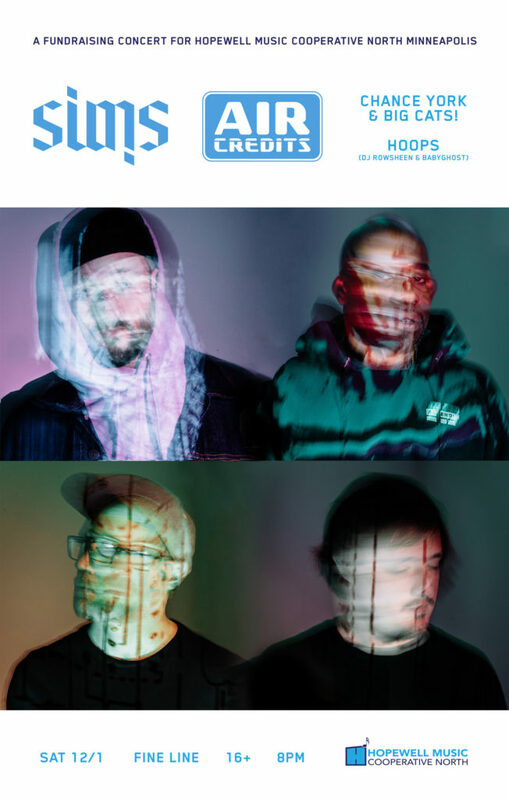 That does it for Doomtree-related news this week, which means it’s once again time for another round of Tuesdays With Lazerbeak Bonus Jams. NAO is back with her excellent sophomore album. I for real thought she was gonna have a hell of a time topping her debut, but I was dead wrong (it happens). This new Saturn record shows a ton of growth and the ballads are extra intense and spine tingly. What a year for R&B music. And speaking of R&B, the dynamic do of Jeremih and Ty Dolla $ign finally dropped their long-anticipated MihTy debut. It is glorious! Who knew that Young Berg would change his identity to Hitmaka and quietly become my favorite new producer. He’s all over this record and the beats are phenomenal. Highly recommended. I never thought I’d turn into such a Calvin Harris fan, but ever since that FUNK WAV BOUNCES album I’ve been all in. The two new songs he just released with Fifth Harmony’s Normani are excellent, especially this “Slow Down” track. She’s about to blow way up on this solo career. OMG Amerie is BACK!!! Yes, “1 Thing” and “Why Don’t We” Amerie. 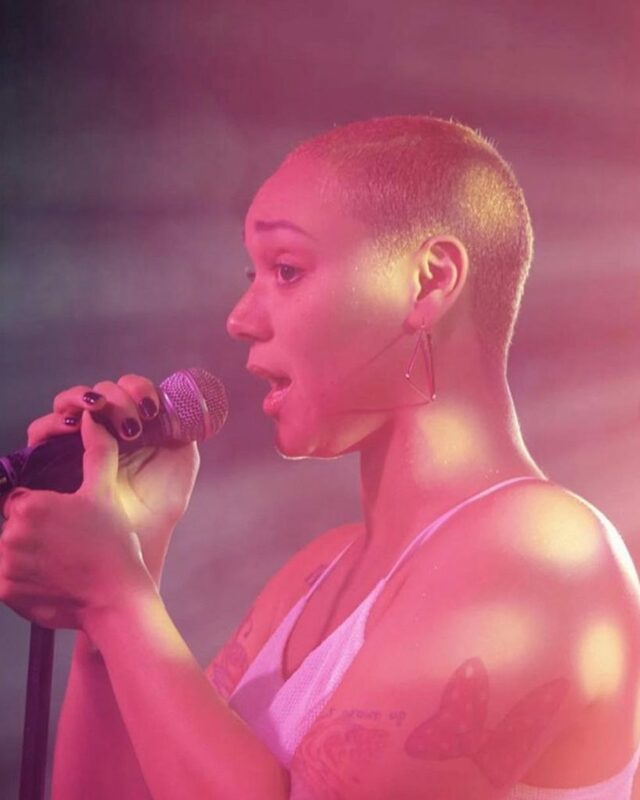 She just dropped a double album out of nowhere last week and it is GREAT. Check out “4TheLovers” below. I’m so excited to listen to more of this. Also very excited to dive more into emerging artist Thutmose and his new album Man On Fire. He’s from Brooklyn by way of Nigeria, and everything I’ve heard from the album so far does an incredible job of blending nods to Nigerian rhythms with hip hop and modern R&B from the states. Leikeli47 is gearing up to release her next full-length and she’s doing so by dropping consecutive 3-song EPs. 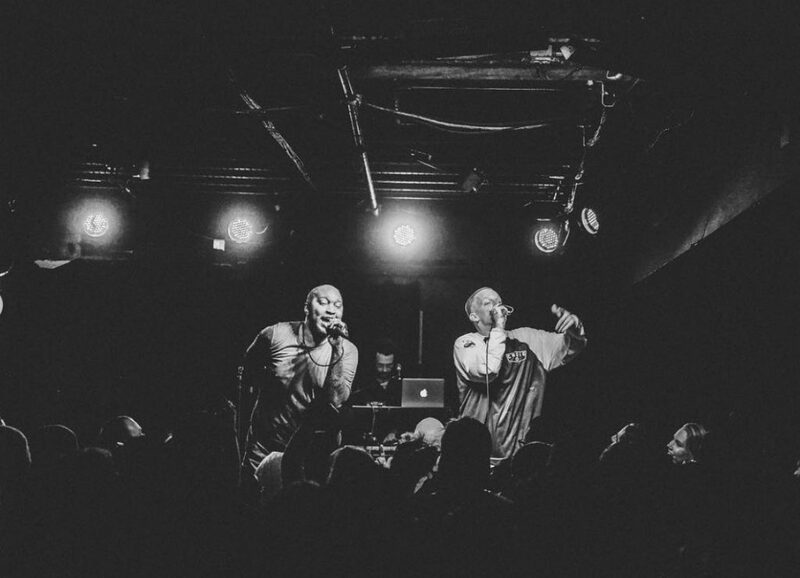 This new track “Roll Call” is an instant anthem and serious banger. Cardi is back like she left something! Oh man, I love her so much. This “Money” track is a great one-off and hopefully a promising sign that she’s already back in the studio working on a follow-up to Invasion of Privacy. I’m getting waaaaaaaay into the new solo album from Kurt Vile. Truth be told I always had a hard time listening through his full albums. That being said, “Pretty Pimping” is easily one of the best songs of all time, so I always check for whatever he does. This new record has a really sweet groove throughout that just kind of rolls on. Perfect driving music. Here’s highlight “One Trick Ponies” to give you an idea. Very excited about the new boygenius, the new supergroup from Julien Baker, Phoebe Bridgers, and Lucy Dacus. They dropped their debut EP last week, and if the early singles are any indicator, it is straight flames front to back. I absolutely love that “Bite The Hand” song. Check out the whole record below. Of course I’ve gotta end this week’s segment the same way I started the post up top. Check out my remix to JØUR’s track “American Nightmare” below. I’m really happy with how this one turned out. Alright! That does it for this post. I hope you all have a wonderful week. I’m gonna take next Tuesday off so that we can all go out and vote, but I’ll see you back here on the 7th for a rare Wednesdays With Lazerbeak and an extra special announcement. Til next time!